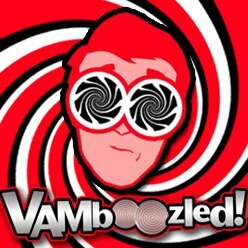 Difficulties When Combining Multiple Teacher Evaluation Measures | VAMboozled! A new study about multiple “Approaches for Combining Multiple Measures of Teacher Performance,” with special attention paid to reliability, validity, and policy, was recently published in the American Educational Research Association (AERA) sponsored and highly-esteemed Educational Evaluation and Policy Analysis journal. You can find the free and full version of this study here. In this study authors José Felipe Martínez – Associate Professor at the University of California, Los Angeles, Jonathan Schweig – at the RAND Corporation, and Pete Goldschmidt – Associate Professor at California State University, Northridge and creator of the value-added model (VAM) at legal issue in the state of New Mexico (see, for example, here), set out to help practitioners “combine multiple measures of complex [teacher evaluation] constructs into composite indicators of performance…[using]…various conjunctive, disjunctive (or complementary), and weighted (or compensatory) models” (p. 738). Multiple measures in this study include teachers’ VAM estimates, observational scores, and student survey results. This, of course, has huge implications for teacher evaluation systems as based upon multiple measures in that “accuracy” means “validity” and “valid” decisions cannot be made as based on “invalid” or “inaccurate” data that can so arbitrarily change. In other words, what this means is that likely never will a decision about a teacher being this or that actually mean this or that. In fact, this or that might be close, not so close, or entirely wrong, which is a pretty big deal when the measures combined are assumed to function otherwise. This is especially interesting, again and as stated prior, that the third author on this piece – Pete Goldschmidt – is the person consulting with the state of New Mexico. Again, this is the state that is still trying to move forward with the attachment of consequences to teachers’ multiple evaluation measures, as assumed (by the state but not the state’s consultant?) to be accurate and correct (see, for example, here). Indeed, this is a highly inexact and imperfect social science. Authors also found that “policy weights yield[ed] more reliable composites than optimal prediction [i.e., empirical] weights” (p. 750). In addition, “[e]mpirically derived weights may or may not align with important theoretical and policy rationales” (p. 750); hence, the authors collectively referred others to use theory and policy when combining measures, while also noting that doing so would (a) still yield overall estimates that would “change from year to year as new crops of teachers and potentially measures are incorporated” (p. 750) and (b) likely “produce divergent inferences and judgments about individual teachers (p. 751). Authors, therefore, concluded that “this in turn highlights the need for a stricter measurement validity framework guiding the development, use, and monitoring of teacher evaluation systems” (p. 751), given all of this also makes the social science arbitrary, which is also a legal issue in and of itself, as also quasi noted. Now, while I will admit that those who are (perhaps unwisely) devoted to the (in many ways forced) combining of these measures (despite what low reliability indicators already mean for validity, as unaddressed in this piece) might find some value in this piece (e.g., how conjunctive and disjunctive models vary, how principal component, unit weight, policy weight, optimal prediction approaches vary), I will also note that forcing the fit of such multiple measures in such ways, especially without a thorough background in and understanding of reliability and validity and what reliability means for validity (i.e., with rather high levels of reliability required before any valid inferences and especially high-stakes decisions can be made) is certainly unwise. If high-stakes decisions are not to be attached, such nettlesome (but still necessary) educational measurement issues are of less importance. But any positive (e.g., merit pay) or negative (e.g., performance improvement plan) consequence that comes about without adequate reliability and validity should certainly cause pause, if not a justifiable grievance as based on the evidence provided herein, called for herein, and required pretty much every time such a decision is to be made (and before it is made). Note: New Mexico’s data were not used for analytical purposes in this study, unless any districts in New Mexico participated in the Bill & Melinda Gates Foundation’s Measures of Effective Teaching (MET) study yielding the data used for analytical purposes herein. This entry was posted in Research and tagged Causality, Consumer Alert!, Equating, Gates, High Stakes, Measurement Errors, Reliability, Research Study, States, Statistics, Validity by Audrey Amrein-Beardsley. Bookmark the permalink. Thank you, Audrey, for your ongoing attention to these failures of social science.